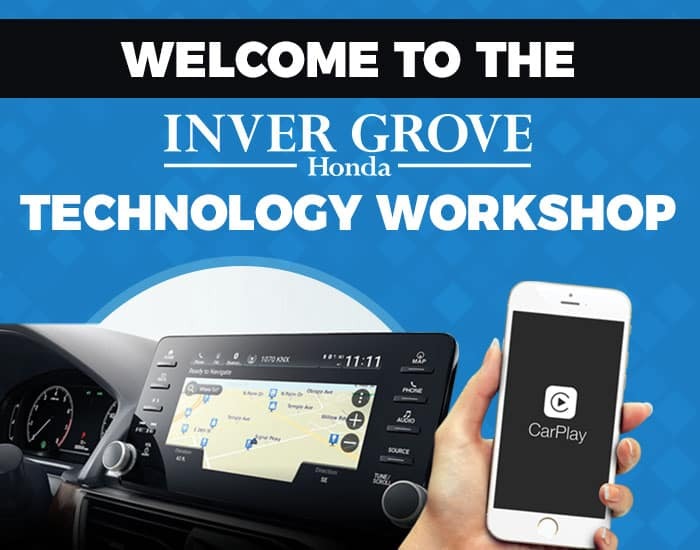 Our in-house technology expert will discuss & explain some of the amazing technology available in your Honda. Your new Honda is packed with all the latest and greatest technology. This free class is designed to help you take full advantage of this technology. Classes are held every 3rd and 4th Wednesday of the month from 6:00 - 7:00 PM and have space for 15 guests per class. Available to all Inver Grove Customers. Food and beverages will be provided. Call 651-453-5195 with questions. To ensure we have enough space for everyone please let us know if you will be in attendance.